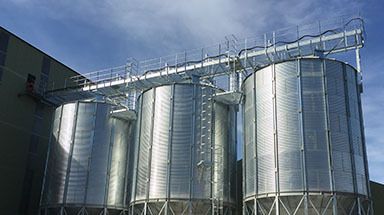 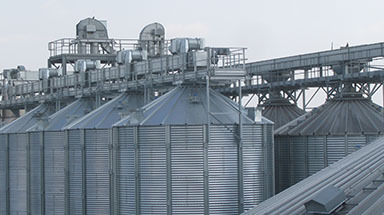 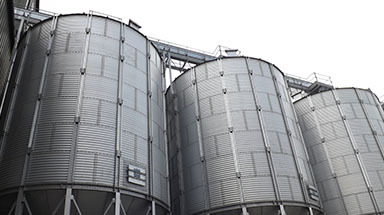 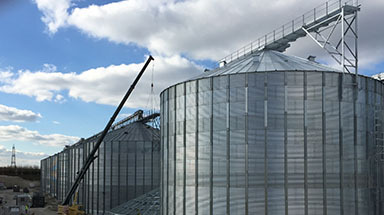 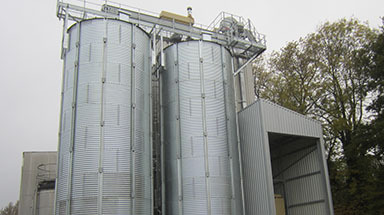 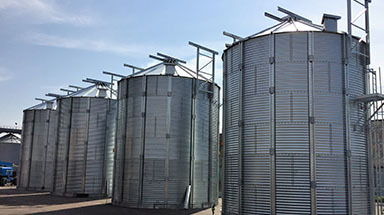 Required for the storage of grain, this project consisted of Eurocode designed silos that included patch loads. 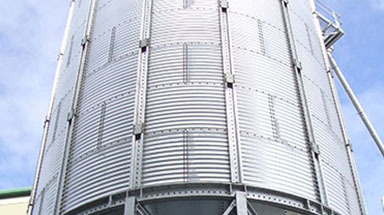 This caused quite a challenge when designing the project. 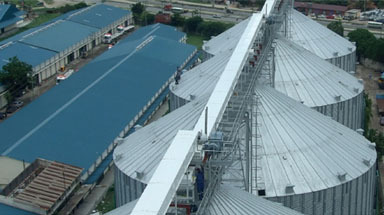 We erected three, 21 meter diameter 18 ring silos each holding 6000 tonnes, four 7 meter diameter 17 ring hopper bottom silos each holding 640 tonnes, a 2 metre wide top catwalk., two 5 meter diameter 4 ring hopper bottom lorry loading silos and supporting steel work with a 5.8 meter high drive throw. 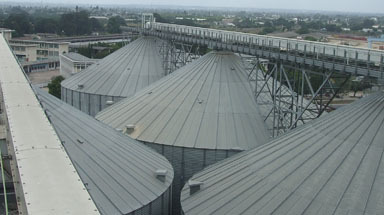 The 2 metre wide top catwalk has a full width mesh that is designed to take two conveyors running parallel to one another and has a large free span back to the main silos. 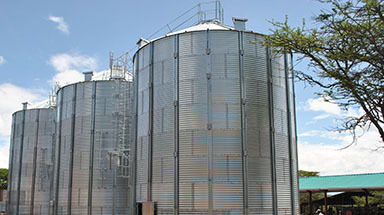 The elevator that runs across the site, is supported by these new silos that have been erected.